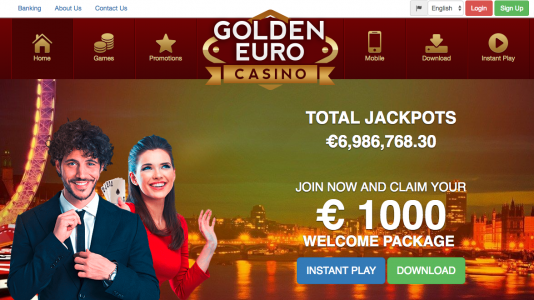 GoldenEuro is European facing RTG casino, and is a “sister” casino of Jackpot Capital – a highly praised casino in our forum. The casino presents itself with a simple and intuitive layout – I signed up and downloaded the games without a hitch. So the sign-up process is easy, and with the choice of download or instant play, I chose download since I find the RTG graphics more appealing when I have the full fledged version running on my computer. They accept deposits via a number of payment options. Just a heads up. Other than seemingly being just another RTG casino, I can attest that the management team is top notch. It’s a great casino to join.